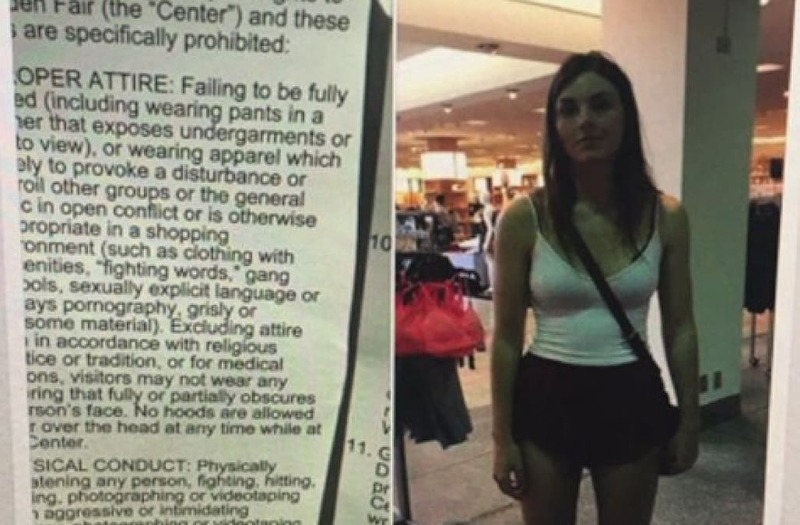 A young woman took to Facebook to express her disgust on June 14 after she was asked to leave a Sacramento, California, mall because of her outfit. 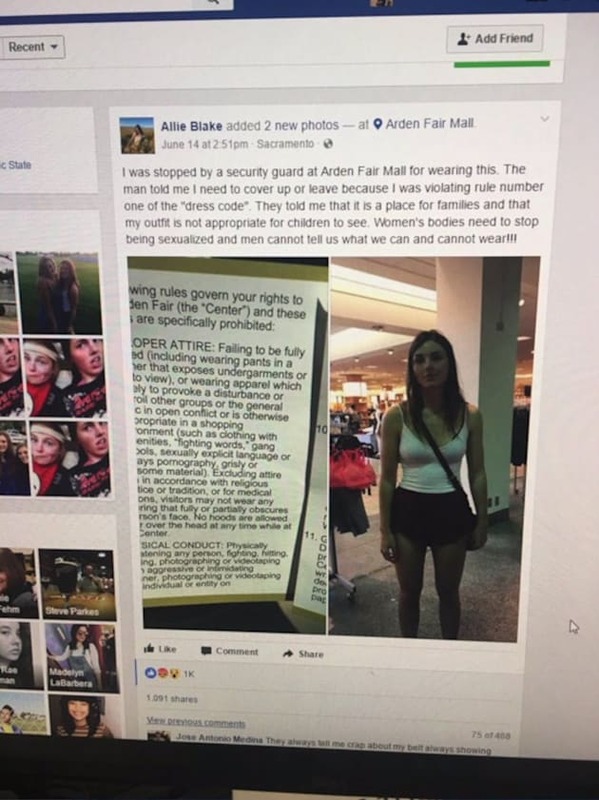 The woman in question, whose Facebook profile is listed under the name Allie Blake, claims that security at the Arden Fair Mall approached her on Wednesday and told her she either needed to cover up or leave. Blake wrote in her since-deleted post that security officers told her that she was "violating rule number one of the dress code" and that her outfit was "not appropriate for children to see." The offending outfit? A tank top and black shorts, to suit the blistering 100-degree weather. "Women's bodies need to stop being sexualized and men cannot tell us what we can and cannot wear!" she concluded in her post, which amassed over 1,000 shares before it was taken down. However, Dani Olsen, the assistant marketing manager for Arden Fair Mall, told KTXL that Blake's Facebook photo doesn't fairly represent both sides of the story. "The shorts were too short and you were able to see something," Olsen told the outlet. The mall's code of conduct bans improper attire, defined in part as wearing pants in a manner that exposes undergarments or excessive skin. The mall didn't provide a picture of what the woman looked like from the back, but it is standing by its actions, according to KTXL.